ACIAR’s John Dillon Memorial Fellowships serve the memory of John Dillon who, like John Crawford, was a staunch supporter of international agricultural research. The fellowships provide career development opportunities for outstanding young agricultural scientists or economists from ACIAR partner countries who are involved in a current or recently completed ACIAR project. The 2016 Fellows are currently in Australia and visited Tasmania and the Northern Territory—our State Committees have been pleased to provide opportunities for the awardees in each State. The visits form part of the overall program to develop leadership skills in the areas of agricultural research management, agricultural policy and/or extension technologies, and to provide exposure to Australian agriculture across a range of best-practice organisations involved in research, extension and/or policy making. In Hobart, the fellows from Myanmar, Nepal, Pakistan and Vietnam met with young Tasmanian agricultural students studying at the University of Tasmania’s Institute of Agriculture. They also got together with our Young Crawford group. Ms Nguyen Thi Thanh An, a John Dillon Fellow and the country manager for ACIAR in Vietnam, presented a short seminar which was followed by dinner. “It was great to learn about the Crawford Fund’s Tasmania Committee, as well as to share our common values, goals and current training activities which complement each other well between Crawford Fund and ACIAR,” said Ms An. 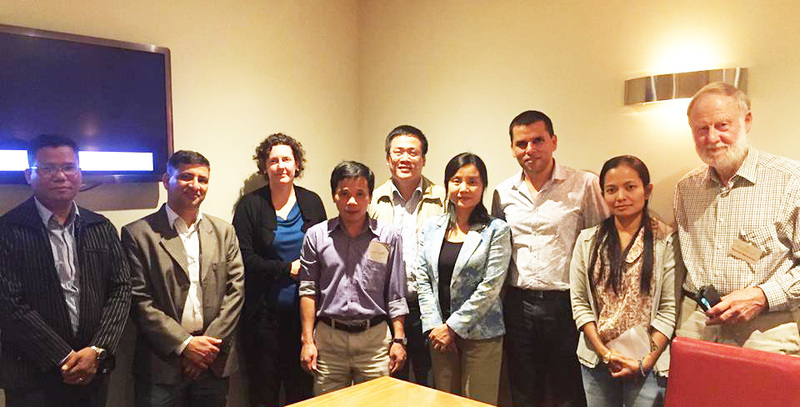 L to R: Prof Aung Aung (Myanmar), Dr Rajendra Adhikari (TIA), Dr Tina Acuna (UTAS and new member of our committee), Dr Luu Ngoc Quyen (Vietnam), Dr Tran Minh Tien (Vietnam), Ms Nguyen Thi An (ACIAR Vietnam), Dr Jagannath Aryal (UTAS and new member of our committee), Ms Thandar Nyi (Myanmar), Dr Neville Mendham (Crawford Fund Coordinator for Tasmania). In Darwin, the fellows from Cambodia, Myanmar, PNG and Indonesia benefited from a two-day visit to Charles Darwin University (CDU). This was organised by our Northern Territory Committee member, Dr Andrew Campbell, Director of the Research Institute for the Environment and Livelihoods at CDU. During a visit that included the Berrimah research farm, a vet laboratory, tree trials and weed management work, they managed to see the famous Darwin crocodile farm (pictured). 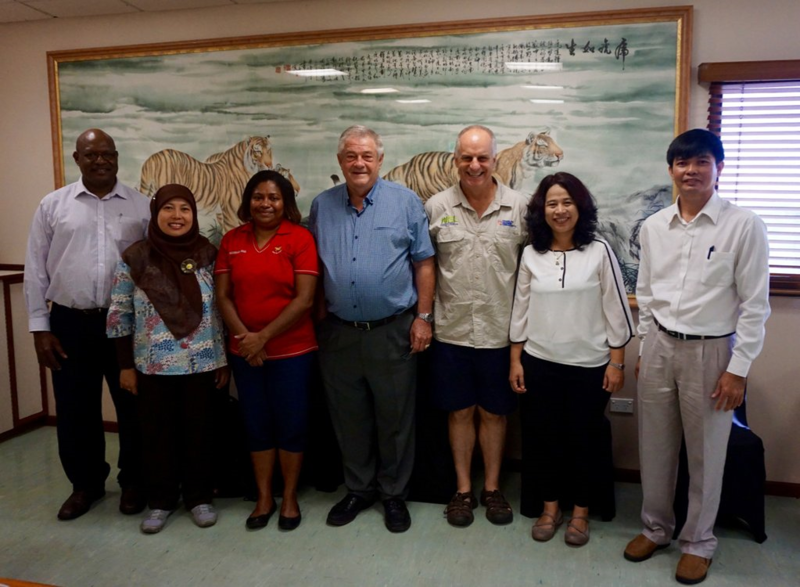 Dr Andrew Campbell (right centre) and ‘croc legend’ Prof Graeme Webb with Dr Sathya Khay, Dr Nurul Hilmiati, Dr Nyo Me Htwe, Ms Luanah Yaman and Dr Martin Golman.